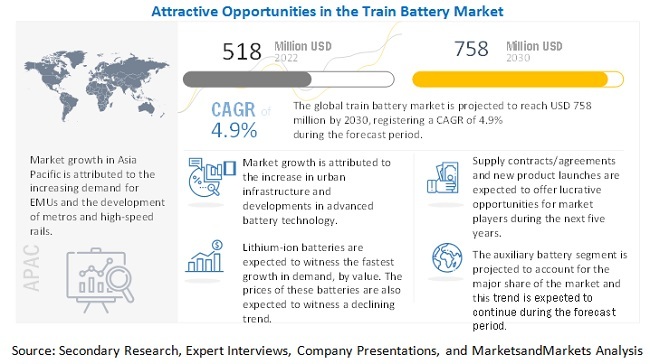 [136 Pages Report] The train battery market is primarily driven by the increasing population which has led to the demand for rail transport and railway electrification across the globe. The train battery market is projected to grow at a CAGR of 5.15% from 2018 to 2025. From a market size of USD 445.4 million in 2017, it is projected to reach USD 703.2 million by 2025. How would OEM see the train battery technology as a product differentiation? How are the industry players addressing the challenge of Battery Technology? Does addition of luxurious features to the rolling stocks impacts the battery sales? Which are the top strategies adopted by the key manufacturers to increase their revenues? 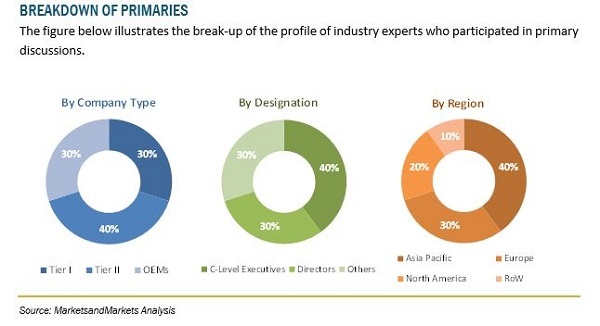 To provide an analysis of recent developments, alliances, joint ventures, mergers & acquisitions, new product launches, and other activities carried out by the key industry participants in the global train battery market. The market size, by volume, of the train battery market, has been derived by identifying the country-wise usage pattern of the different types of batteries. The identification at the country level is carried out by rolling stock type and battery type to triangulate the market. Various secondary sources such as Marklines, Association of the European Rail Industry (UNIFE), Brazilian Association of the Railroad Suppliers (ABIFER), Japan Association of Rolling Stock Industries (JARI), Indian Railway Institute of Electrical Engineering (IRIEEN), Indian Railway Conference Association (IRCA), Chinese Academy of Railway Sciences (CARS), and China Railway Construction Corporation Limited (CRCC) have been used. The market numbers are based on country-wise production, which is further added to arrive at the regional market. The regional data is then added to derive the global data. Rolling stock production has been considered to arrive at the market size, in terms of volume. The country-wise market volume is then multiplied with the country-wise average OE price of the battery. This gives the country-wise market size for the train battery, in terms of value. The summation of the country-wise and regional-level market size, in terms of value, provides the global train battery market size. 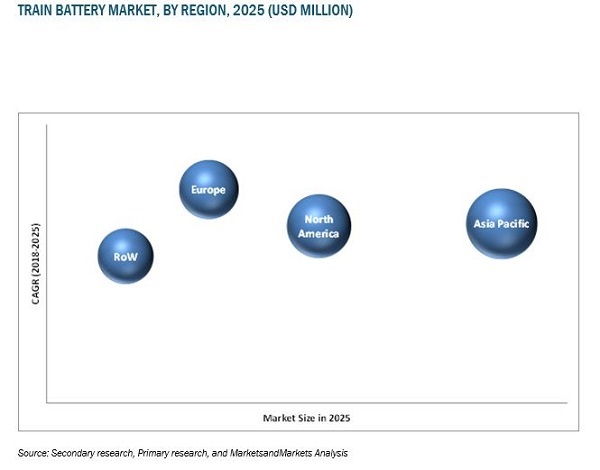 The train battery market is dominated by a few globally established players such as EnerSys (US), Saft Batteries (Germany), Exide Industries (India), Hitachi (Japan) and GS Yuasa (Japan). These companies developed new products, adopted expansion strategies, obtained supply contracts; established collaborations & partnerships; and used mergers & acquisitions to gain traction in the train battery market.